PALAZZO served as exclusive financial adviser to Stern IR, a leading investor relations firm for entrepreneurial biotechnology and healthcare companies, in its sale to Precision Medicine Group. Stern IR supports more than 70 companies in the entrepreneurial biotechnology and healthcare sectors, and its core competencies include creation of investor relations strategy aimed at lowering the cost of capital, positioning and messaging development, relationship building with the financial community, and seamless tactical execution. With this acquisition, Precision significantly expands its capabilities to include a complete range of strategic communication services aimed at facilitating capital formation and enhancing client visibility and productive interactions with the financial community. PALAZZO served as exclusive financial adviser to the majority owner of Heard City in the sale of its equity interest to a private investor group. Heard City is a premier audio post-production company servicing the advertising, motion picture and television industries. Founded in 2012 and headquartered in New York City, Heard City’s next generation studio has mixed dozens of spots, including six Superbowl commercials. PALAZZO served as exclusive financial adviser to Soulsight, an award-winning strategic branding, design and creative agency, in its sale to Bruin Sports Capital. Headquartered in Chicago, Soulsight specializes in holistic brand strategy, including strategic concept-to-commercialization development using a set of proprietary systems and tools proven to inspire innovation and drive business growth. The company has partnered with leading multinationals and premium brands including Campbell’s, Hershey’s, KraftHeinz, MillerCoors, Pepsico, Tyson, and Walgreens to manage, build, create and introduce an array of outstanding products and services worldwide. The acquisition adds another dimension to Bruin’s portfolio of high-growth, next-generation enterprises which represent the vanguard of the new consumer-driven global sports economy. PALAZZO served as exclusive financial adviser to Republica, a leading independent multicultural agency, in its transaction with Havas. 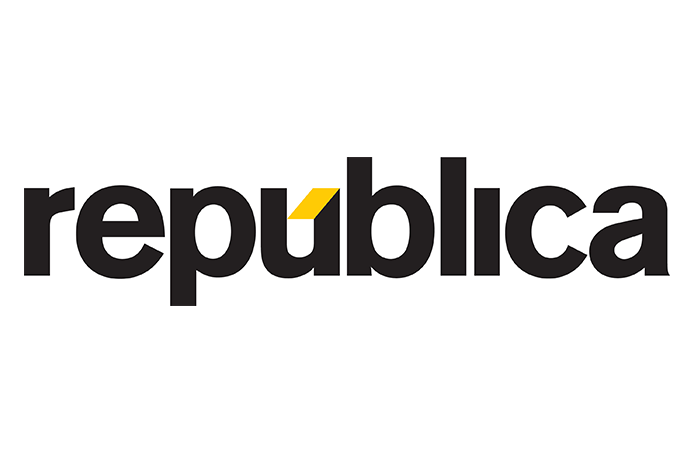 Based in Miami, Republica’s team of 120 experts specializes in creating relevant, enduring connections across culture, language, and technology, providing strategy, creative, research, media planning and buying, analytics, consumer science, digital, public relations, social, and experiential for brands in the U.S. and around the globe. The agency will be renamed Republica Havas and will continue offering expert multicultural marketing intelligence, combined with the ability to leverage Havas’ global integrated communications network as well as tap into parent company Vivendi’s media and entertainment properties. PALAZZO served as exclusive financial adviser to Click3X, a video production company, in its sale to leading content company, Industrial Color Studios, a Frontenac portfolio company. Click3X is a pioneering video and post production studio with over 25 years of award-winning industry expertise in film, video and new media formats such as VR, AR and CGI. Click3X complements Industrial Color Studios’ plans for continued growth by adding creative strategy, video and branded content specialists, thereby positioning Industrial Color Studios as one of the industry’s most integrated content solutions platform. PALAZZO served as exclusive financial adviser to PIA, a motion content agency, in its sale to global content provider, CreativeDrive, a Bertram Capital portfolio company. PIA specializes in powerful storytelling through live action video, animation and original music that shapes experiences for global brands, including HP, SAP, Hewlett Packard Enterprise, PepsiCo and PetCo. 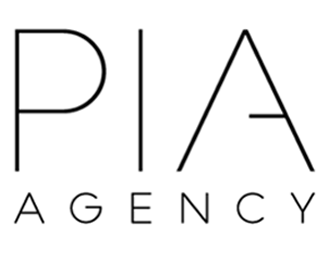 Headquartered in Carlsbad, Ca., with additional offices in San Francisco and Portland, OR., PIA’s top-tier video content solution will be offered to CreativeDrive’s clients to enhance their own stories and video needs. PALAZZO served as exclusive financial adviser to Schireson Associates, a strategic data science consulting firm, in securing capital from KeyBank. Headquartered in New York, Schireson Associates helps global companies decode rapidly shifting marketing forces and market dynamics. The Company’s world class data scientists and industry leading strategists transform businesses and optimize for better outcomes and efficiencies. PALAZZO served as exclusive financial adviser to TandemSeven, a digital customer experience consulting firm, in its sale to Genpact, a global professional services firm focused on delivering digital transformation for clients. Headquartered in Boston, MA, TandemSeven’s team of consultants, technologists, and designers, as well as its UX360 customer analytics technology, delivers customer and digital experience innovation consulting using design thinking at its core. TandemSeven’s ability to design better customer experiences complements Genpact’s digital capability aimed at transforming business processes end-to-end. PALAZZO served as exclusive financial adviser to Clearhead, the digital optimization company, in its sale to Accenture. Clearhead, based in Austin, Texas, helps brands continuously test, redesign and personalize digital customer experiences and digital products to optimize business outcomes. The acquisition bolsters Accenture Interactive’s full suite of personalization and digital customer transformation practices spanning experience design, marketing, content and commerce. PALAZZO served as exclusive financial adviser to Scout, a leading healthcare and consumer marketing agency, in its sale to The Stagwell Group via its fund Stagwell Media, a holding company started by former WPP and Microsoft executive Mark Penn. Scout is an expert in the specialty pharmaceutical and rare disease space with a strong presence in the neurology and immunology categories. Scout has offices in Atlanta, Chicago, and San Diego and more than 140 employees. PALAZZO served as exclusive financial adviser to Grupo Gallegos, an independent creative agency, in its acquisitions of digital agency Canvas and public relations firm RL Public Relations + Marketing (RLPR). 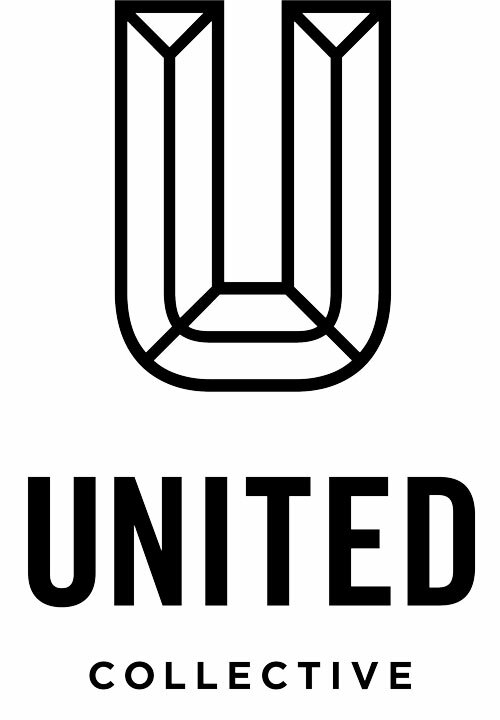 Together with the acquisitions, Grupo Gallegos is launching a more integrated and broadly targeted communications group United Collective. PALAZZO served as exclusive financial adviser to Trisect, a creative agency located in Chicago, in its sale to Match Marketing Group, a leading activation and engagement marketing agency. Trisect has delivered best-in-class marketing campaigns for an impressive list of brands such as PepsiCo, Kawasaki, Chicago Bears, Slim Jim and Mike’s Hard Lemonade. The addition of Trisect further enhances Match’s broad portfolio of services, providing the most effective and comprehensive range of marketing solutions. This acquisition is part of Match’s ongoing focus of growing its business to include specialized agencies in North America that strengthen its national presence and enhances its suite of integrated marketing solutions. PALAZZO served as exclusive financial adviser to Upshot, an industry-leading, consumer marketing agency based in Chicago, in its sale to Advantage Solutions. The addition of Upshot to Advantage Solutions will create a comprehensive end-to-end brand marketing capability that enables clients to optimize brand activation and the journey to purchase. Founded in 1994, Upshot has grown to 170 employees and partners with world-class brands like Starbucks, Google, Corona, New Balance, Proctor & Gamble and Scotts Miracle-Gro. Upshot will continue operating under its current name as a business unit within Advantage’s marketing division, Advantage Marketing Partners. PALAZZO served as exclusive financial adviser to Praytell, an award-winning PR and creative communications agency, in its sale to Project:Worldwide, an independent agency network. Praytell is the first PR firm to join Project, which has made 13 acquisitions since it was founded in 2010. As one of the fastest growing agencies in the U.S. and one of PRWeek’s best places to work in 2015 and 2014, Praytell blends social and digital expertise into a nimble, holistic communications offering. The agency is headquartered in Brooklyn, NY with additional offices in San Francisco, Austin, and Los Angeles. and Greystar Real Estate Partners. The acquisition combines both companies’ digital, technical and creative capabilities and expands WPromote’s offering regionally and in new sectors, including hospitality and real estate. PALAZZO served as exclusive financial adviser to Muhtayzik Hoffer, a San Francisco-based creative agency, in its sale to VCCP, an operating group of Chime Communications. The nationally recognized agency, Muhtayzik Hoffer, was founded in 2010 and in the past year has nearly doubled in size and today serves a blue chip client roster including Audi, AAA, Netflix, and SoFi. 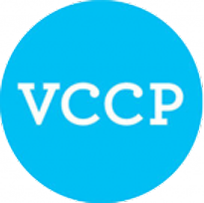 VCCP opened in 2002 and is part of Chime Communications, which in 2015 was taken private by Providence Equity Partners, which owns around 80% of the group. WPP owns the other 20%. The transaction will create a new global challenger network. PALAZZO served as exclusive financial adviser to NorthPoint Digital, a leading NY-based digital, technology and design solutions firm, in its sale to Ernst & Young (EY). NorthPoint Digital architects, builds and implements cohesive technology platforms that can power large scale websites, apps and portals across a variety of devices. The addition of NorthPoint Digital further enhances EY’s digital innovation and user experience services by adding a broad array of web technologies, content management systems (CMS), database technologies, search tools, back-end integration and front-end development tools. PALAZZO served as exclusive financial adviser to Media Experts, a Canadian media planning and buying agency, in its sale to IPG Mediabrands, the media and communications arm of Interpublic Group (NYSE:IPG). Mark Sherman, the Founder, Owner and CEO of Media Experts will continue in his role leading the company with his executive team and its 150 employees. Media Experts will continue to service clients in the areas of media planning and buying, search engine optimization, search engine marketing and programmatic trading. The company’s roster of clients includes leading Canadian and global brands. PALAZZO served as exclusive financial advisor to Ferrara & Company, a full-service advertising and marketing agency, in its sale to PureRED Integrated Marketing. Ferrara & Company has a rich 30 year history of developing creative campaigns that include TV, Digital, Print, and Professional Marketing services for major blue chip clients. The union of these two premier agencies will deliver a highly differentiated set of capabilities and services creating a Channel Marketing Powerhouse in the Retail, CPG and Business to Business markets. inVNT Acquired by Time Inc.
PALAZZO served as exclusive financial advisor to inVNT, a New York-based experiential marketing company that specializes in live media, digital and traditional media, brand environments and creative services in its sale to Time Inc. inVNT has created events that span 60 countries across six continents for Fortune 50 brands that include Intel, PepsiCo, Merck, General Motors, Subway, Juniper Networks and the Outdoor Advertising Association of America. The two companies together currently present more than 575 events a year – in the consumer and business-to-business space. PALAZZO served as exclusive financial advisor to Digital Kitchen, a digital content and design agency, in its sale to kyu, a strategic operating unit of Hakuhodo DY Holdings Inc. Digital Kitchen has offices in Chicago, Seattle and Los Angeles and takes a unique approach of blending strategic creative development, film, animation, digital, experiential design and rich brand storytelling to provide high-engagement brand solutions. PALAZZO served as exclusive financial advisor to Flying Point Digital, a performance-based digital marketing agency specializing in retail and e-commerce, in its sale to Women’s Marketing, a leading media strategy and buying firm based in Westport, CT, and a portfolio company of PNC Riverarch Capital. Flying Point Digital offers a full suite of consultative and interactive services in digital strategy consulting, SEO/SEM, content marketing, social media, and website optimization. PALAZZO advises Underline Communications, a New York City based CRM and digital solutions agency in its sale to sandbox, a full service advertising agency established through the acquisition of complementary entrepreneurial marketing services firms. Underline helps leading brands including American Express and Leading Hotels of the World build valuable customer relationships through personalized communications and engaging digital experiences. In connection with this transaction sandbox also announced the acquisition of McCormick Company and ONE Advertising. PALAZZO served as exclusive financial advisor to Pereira & O’Dell, a leading international advertising agency, in its share repurchase from Grupo ABC. Pereira & O’Dell was most recently named as a “Standout Agency” in Advertising Age’s 2015 A-list and as one of the “Top 10 Most Innovative Companies in Advertising” by Fast Company in 2014. With four offices in the US and Brazil, Pereira & O’Dell is currently working with major leading international brands for Skype, Intel, Coca-Cola, Henkel, Fiat-Chrysler, Anheuser-Busch Inbev, Fox Sports 1 and Memorial Sloan Kettering. PALAZZO advises Swift, a digital agency that specializes in creative and strategy, branded content creation and social media, in its sale to POSSIBLE, a wholly owned WPP company. Swift was recently recognized as “Small Agency of the Year, Northwest” by Advertising Age, which speaks to the Company’s creative excellence, innovation and ability to deliver excellent results for their clients. Portland, OR based Swift serves a client roster including major names such as Starbucks, HTC and Nestle. PALAZZO advises Formula, a national public relations agency, in its sale to Havas. The new entity, Havas Formula, will comprise of about 100+ staff across three offices in New York, Los Angeles and San Diego. As one of the nation’s top PR firms, Formula has established a name for itself as a progressive firm that serves challenger brands looking to disrupt the market. Formula has represented clients as Heineken, Nestlé, Wyndham Hotel Group, and Dunkin’ Donuts. PALAZZO, in association with David C. Wiener, have advised MKTG INC, a full service marketing agency, in its sale to Aegis Lifestyle, Inc., a subsidiary of Dentsu Aegis Network. MKTG is headquartered in New York with full service offices in San Francisco, Los Angeles, Chicago, Cincinnati and London, England. MKTG provides experiential marketing, digital marketing, retail promotions and strategic research to a variety of the world’s most recognizable brands. PALAZZO advises AMMIRATI, a New York-based full service creative shop in its sale to the Midwest digital agency Resource as part of a broader plan to revamp the agency’s brand. The acquisition gives Resource, a digital agency with over 300 staffers across San Francisco, Chicago, Columbus and Cincinnati, more creative clout and a New York presence. PALAZZO advises La Comunidad, a leading creative agency renowned for award-winning, engaging campaigns that consistently break boundaries in cross-cultural marketing, in its sale to SapientNitro, part of Sapient. La Comunidad joins SapientNitro’s capabilities across brand, digital, commerce, and technology and will strengthen its storyscaping approach — which combines the power of storytelling with systems thinking to allow brands to create not just ads but worlds. PALAZZO advises GA Communication Group, a full-service healthcare marketing and communication agency, in its sale to sandbox. GA has become a founding member of sandbox, a global marketing and advertising agency network based in Chicago. Aiming to fill a void in an advertising industry dominated by large holding companies, sandbox will continue to build its network with mid-size marketing and advertising agencies worldwide. PALAZZO advises McKinney, an award winning advertising agency located in Durham, North Carolina in its sale to Cheil Worldwide, Korea’s largest and one of the world’s leading marketing communications networks. Middleberg Communications Acquires Public Relations Firm GS Schwartz & Co.
PALAZZO acts as exclusive financial advisor to Middleberg Communications in its acquisition of GS Scwhartz & Co., a full service public relations agency. PALAZZO advises Stratagem Healthcare Communications in its sale to Dudnyk. The acquisition will help Dudnyk bolster its West Coast presence and add medical-device marketing expertise. PALAZZO Advises TargetCast tcm, a leading full-service media agency, on its sale of a majority partnership interest to MDC Partners. TargetCast co-founder Steve Farella to head New MDC Partners Media Group, Maxxcom Global Media. PALAZZO advises Luckie & Company on acquisition of data analytics firm Integrative Logic. The combination of IL’s business intelligence expertise and Luckie’s brand-building practice will give consumer and B2B brands a true market differentiator and a stronger competitive advantage. PALAZZO advises St. John & Partners on the sale of selected assets to Team Detroit, a member of WPP. PALAZZO advises Cell Division, a digital life science agency (FKA CCG Metamedia and Quicksilver Science) on the sale of selected assets to Euro RSCG Life, a member of HAVAS Health. PALAZZO advises healthcare marketing communications firm Seidler Bernstein in its sale to Kelley Habib John (KHJ). The move creates a healthcare brand powerhouse by joining extensive business and consumer marketing know-how in every segment of the new healthcare economy. PALAZZO acts as financial advisor to Engine USA, the newly formed communications and marketing services group, in its acquisition of young-adult marketing agency, Noise. The purchase of Noise represents Engine’s second transaction of 2010 and brings to Engine crucial expertise in the 18 to 34 year-old market. PALAZZO represents Grupo Gallegos, an independent, creatively driven, marketing solutions company in its acquisition of Nine Two, a general market advertising and marketing agency with a specialty in promotions. This deal for Grupo Gallegos is part of the agency’s effort to respond to and anticipate its clients’ needs for integrated campaigns with targeted messages that play across many countries, cultures and subcultures. Nine Two will allow Grupo Gallegos to offer a broader spectrum of services to its growing client roster. PALAZZO acts as exclusive financial advisor to Engine USA, the newly formed communications and marketing services group, in its acquisition of Deep Focus, the New York-based full-service interactive marketing agency. Deep Focus’ culture and reputation for break-through digital solutions make it a great fit for Engine USA. This deal reflects a determined effort by Engine USA, part of the Engine Group, London’s largest independent communications and marketing company, to transplant the same culture of innovation and collaborations been so remarkably successful in London. PALAZZO announced it acted as financial advisor to ENGINE, the UK’s leading independent communications company, in its partnership with puris.bernbach.partners, to create ENGINE USA. PALAZZO acts as exclusive financial advisor to TargetCast tcm in its acquisition of Triumph360, a full-service digital shop. The move marks TargetCast tcm’s first major acquisition since its inception in 2002 and comes as the agency seeks to broaden the breadth and scope of its services in anticipation of clients’ increasingly digital focus. PALAZZO advises Middleberg Communications in transaction with The Dowd Agency. Don Middleberg, a widely recognized leader in public relations and CEO of Middleberg Communications, and Jim Dowd, CEO of The Dowd Agency, today announced the combination of their two firms. The new, full-service agency will operate as Middleberg Communications, with The Dowd Agency as its consumer division.